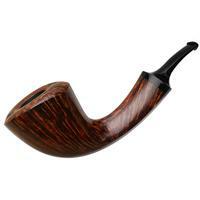 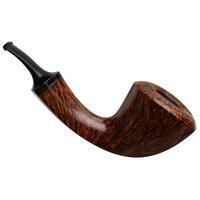 When Alexander Tupitsyn fashions a bent Dublin, he usually renders one of two varieties: either a curvaceous, smooth-lined piece with a gradual flare from shank to rim, like that of a Horn, or a much more strikingly proportioned version, with the bowl poised at the end of the shank. 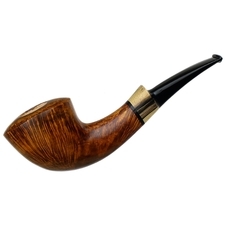 Here, Alexander has merged those two aesthetics into a bent Dublin that's at once graceful and soft of curve as well as poised and boldly proportioned, imbued with the elegance and power of, say, a ship's bow. 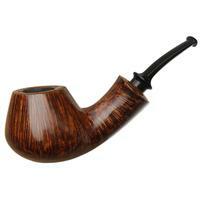 While the under-girding curve is consistent and uninterrupted, the overall proportions are a touch neoclassic, as the bowl rises firmly from out of the transition to receive much of the piece's visual weight. 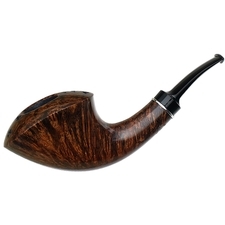 Meanwhile, the Russian carver has also tightened the transition, further emphasizing the bowl's prominence, yet all founded on the underside's sweeping line. 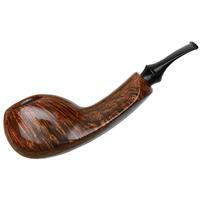 What are most unique and tantalizing about this piece, though, are the two hard lines at each flank. 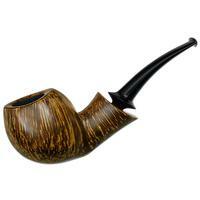 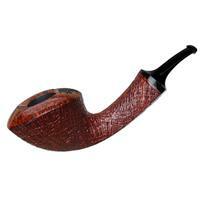 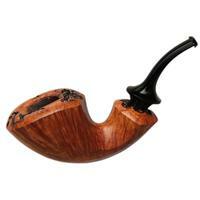 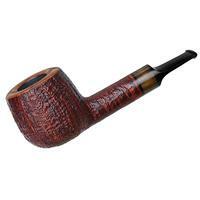 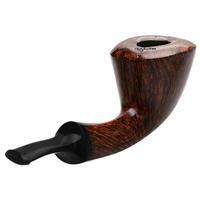 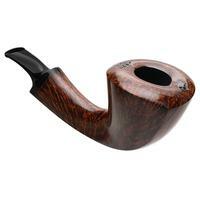 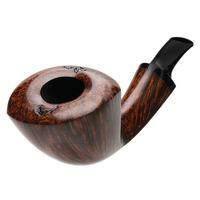 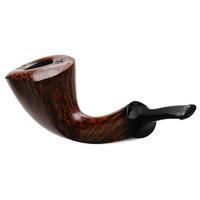 Created by the D-shaped cross section, each ridgeline flows down the shank, curling up into the bowl. 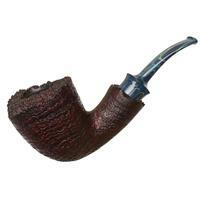 They're asymmetrically oriented, however, with the left ridge curving tightly up the near side of the bowl while the right side meanders more gradually up to rim's fore. 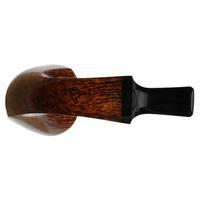 Thus, the rim bears a lenticular shape, coming to crisp points where the ridgelines terminate, and is also adorned with two portions of partial plateau for added visual balance. 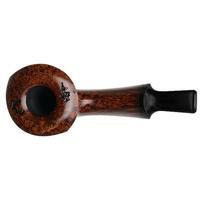 It's lovely shaping from Alexander and is all dressed in an exquisite contrast stain, highlighting feathery tongues of flame grain, aligned perfectly with the hard accenting lines.